Approximately 690 Marines from the 26th Marine Expeditionary Unit, II Marine Expeditionary Force, embarked aboard USS Kearsarge (LHD 3) as part of prudent preparatory measures in anticipation of future tasking to support relief efforts in the aftermath of Hurricane Harvey, Aug. 30, 2017. If requested, the MEU’s aviation and lift capabilities will include (8) MV-22B Ospreys, (3) CH- 53E Super Stallions and (3) UH-1Y Hueys. Additional capabilities include water purification and storage, engineering, aerial reconnaissance and aid distribution. In anticipation of future tasking, II MEF also alerted the Camp Allen Logistics Command team, which bolsters the II MEF logistics capability, and deployed a liaison/ planning team to Expeditionary Strike Group-2. The Marine Corps can rapidly respond with air, ground and logistics assets when requested for Defense Support of Civil Authorities. The 26th MEU stands ready and capable to provide assistance, in support to the Federal Emergency Management Agency, U.S. Northern Command, and state and local response efforts. If tasked with DSCA, the MEU’s efforts will be in support of the lead federal agency and coordinated closely with state and local officials. Glad to see that they're up and moving. The Marine Corps has become so aviation centric that they can't see the forest for the trees! More aircraft is gonna be welcomed. Is this the right mix of aircraft has to be called into question. 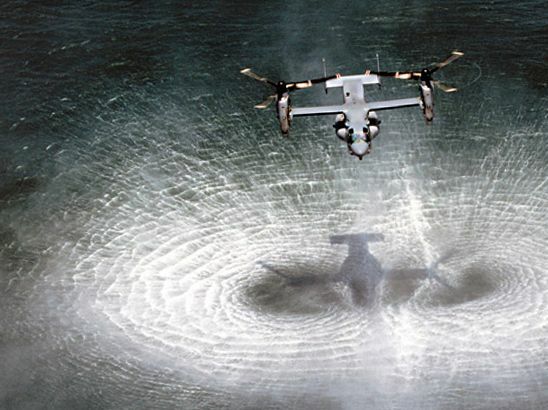 The rotor wash from the MV-22 is gonna be tough on civilians not experienced with rotor winged aviation much less the blast from the MV-22. Next you have to question what these people are thinking. Many of the people affected are in rural areas (at least those in Galveston). Batteries will be running low and cellphone service spotty. They're gonna need vehicles that can swim to houses in the boonies to check on people and deliver supplies. Before they've even hit ground this "new" Marine Corps is less effective than the old. This is good but disappointing. I expected better. Instead they're still pushing the aviation centric Marine Corps while people are in need. This is not the time to try and prove the hot new thing.